Recently a close colleague and friend refered a patient to me. I dont think he felt confident in his abilities to deal with the issue. I totally refute this erroneous notion but once I looked at the scans supplied of the patients disorder, I understood why. I was filled with sadness and dismay. Rarely have I seen such an infiltration of tumours in organs. I knew we were dealing with a small time frame in which to attempt to get get the body to heal itself if at all possible. We talked on the phone and as I took the symptoms as felt by the patient, I was struck by the determination to overcome the problem, yet I also felt that the patient knew how difficult a position they were in. I was not asked for a prognosis, because between us in the short time we knew each other, only one hour, there was an openess and honesty present. We both knew what we were dealing with. We got the core of the issue quickly. I believe our conversation allowed the patient to accept some things about life and let go of troublesome feelings. Relaxation was heard in the voice. My mind had formulated a symptomatic choice of remedy, yet I wanted to be sure so as to not make a mistake. We talked on the Friday and I said that I would contact again on the Sunday with the remedy choice and protocol for taking. 24 hours later, the patients life ended due to being overwhelmed with the disease. Im not a person to cry easily. I am a person to be affected deeply though by emotions. Death is so final. It is the culmination of life. Where there is hope and a quality of life to be had, I expend all my efforts to try and make it happen. I trust my therapy as the best one generally to facilitate that. I cannot carry this experience as a failure on my part simply because I didnt get to initiate treatment. I am however grateful that I had the chance to talk with the patient and had the chance to extend support and kindness and human love in the hour of need. No promises, no false hopes, just a sharing. There is no one to blame. It is the results of human biology and hereditary and environmental situations. Would homoeopathy have helped? Who knows. Sometimes the human body will not respond depending on the maintaining causes, and sometimes a gentle persuasive touch from the similar remedy alters everything towards health. I know the law of similars is the only real chance a living body has… so I keep going. Im sorry I wasnt there earlier for you. There is a trend with Kentian trained homoeopaths, to learn remedies based on personality prescriptions. The training undergone by the practitioners is slanted that way to make it ‘easier’ to prescribe. The problem with this type of prescribing and remedy comprehension, is simply that it is wrong and dangerous. Remedies dont have personalities. They are a collection of symptoms produced by a substance. The substances ‘poison’ the living host to produce reaction and the reactive host develops symptoms based entirely on the content of the substance and in the same manner every time. By attributing personalities to the remedy, it destroys the rationale of finding a disease state in a person or animal based on individual symptoms rather than being influenced by the ‘personality’ of the remedy, ie, sulphur is a dirty unkempt dreamer of many things. I have been in the company of a ‘homoeopath’ for a week who uses intuition and kinesiology to prescribe. A sick patient was in his clinic and he asked me what I would give… after 5 minutes and checking a symptom in the repertory, I made a prescription. He took the bottle of the medicine I prescribed, placed it on her neck and raised her arm. He said, “I dont feel this remedy is correct” and gave her something else. I said to him gently that the patient was very sick and that the remedy I prescribed, in my experience and knowledge of both the disease and the remedy, would be effective in stopping a progression the acute disease. He said that his intuition confirmed by the muscle testing said otherwise. Later that day, the patient worsened and was taken to hospital…. The homoeopath explained to me that obviously the patient was too sick for the remedy to work! The father of the patient, who had been in the room during our conversation, phoned me later that night, and told me the sx were the same and wanted to know the remedy name I prescribed to give the child. He came to my clinic, picked up the remedy and administered it. The child broke the fever, perspired and was feeling better in 7 hours. I consider myself intuitive. I see intuition as a subconscious assimilation of experiences, observations and learned knowledge that is tucked away in the recesses of the mind. Many times in observing a patient, I have a feel for a medicine, BUT is based on symptoms expressed that I subconsciously have picked up through my senses and have observed before or have read about… I still balance this intuitive feel with the concrete reality of the Materia Medica. Having the experience of thousands and thousands of patients over the years, there is knowledge assimilated of symptoms that respond to a certain remedy or treatment protocol. I see a triad of symptoms and recognise the ‘picture’ of a remedy which has these clinical characteristics, and despite the disease name, are present. I am also keenly aware of subconscious behavioral changes in my relationships. I know when something is not quite right or is different or off. I may not know why, however I know something is going on. I think humans develop similar body behaviour patterns that a discerning observer can pick up subconsciously and relate to previous experiences and thus see what is going to happen shortly, and it does. Intuition based on solid experience and training is helpful. Based on a false spiritual foundation will fail all too often. When I work with my colleague Manuel in the clinic, we will come to a remedy based on solid logical reasons. However a few times, Manuel will say to me “you are not happy with this prescription are you?” This is a cue to re-evaluate the case and look for things we had missed. I am unhappy with the prescription simply because it did not match the pace, pitch and power of my experience with the remedy. It does not “feel right” even though the symptoms match. We had a child with a bad cold and pains in his body…difficult to get sx as was just less than 2 years old. He had been sick for a week. We arrived at a remedy…. this was a “you are not happy with this prescription are you?” time. So we just observed a little more. He was sat in the clinic, the temp was hot, just a diaper on… when the fan blew on him, it did not bother him at all. Our clinic table is glass. I picked the child up and placed him on the table. He immediately began to cry. A minute later I placed his hand on the table and he began to cry again. I used the rubrics AGGRAVATION cold becoming, part of the body, and touching an object cold. These and other symptoms led us to RHUS TOX as the remedy. he was better the next day. The correct use of intuition, willing to trust the inner knowledge gained with experience, is a good thing. However, is best to hone the intuition with checking the facts. The IHM is posting a wonderful and informative article by Dr. Guillermo Zamora, MD , Homeopath written in 2010. “1 During the flourishing years of youth and with the commencement of regular menstruation joined to a mode of life beneficial to soul, heart and body, they remain unrecognized for years. Those afflicted appeal in perfect health to their relatives and acquaintances and the disease that was received by infection or inheritance seems to have wholly disappeared. But in later years, after adverse events and conditions of life, they are sure to appear anew and develop the more rapidly and assume a more serious character in proportion as the vital principle has become disturbed by debilitating passions, worry and care, but especially when disordered by inappropriate medicinal treatment”. In this last sentence, I wonder if the bacteria would transport only the simple substance or they are able to carry more than that, for example: Exotoxins. “An exotoxin is a toxin excreted by a microorganism , including bacteria, fungi, algae, and protozoa. An exotoxin can cause damage to the host by destroying cells or disrupting normal cellular metabolism. They are highly potent and can cause major damage to the host. Exotoxins may be secreted, or, similar to endotoxins, may be released during lysis of the cell. Most exotoxins can be destroyed by heating. They may exert their effect locally or produce systemic effects. Well known exotoxins include the botulinum toxin produced by Clostridium botulinum and the Corynebacterium diphtheriae exotoxin which is produced during life threatening symptoms of diphtheria. It is according to the last paragraph where I would focus more, overall, to mention some of the most dangerous bacteria or bacterial gender in medicine. Coagulase: This is an extracellular enzyme coagulase-reacting normally present in plasma (perhaps prothrombin) and plasma coagulation by converting fibrinogen into fibrin. The only pathogenic effect has been suggested for this enzyme is covering with fibrin microorganisms to inhibit phagocytosis. Staphylococcal hemolysins: There are four: Alpha, beta, gamma and delta: It has been shown that alpha toxin, damages the smooth muscle cells and also destroys the skin (it dermonecrotic). It is also toxic to macrophages, platelets, and causes degranulation of PMNs. Beta toxin is an enzyme that reacts with phosphorylcholine sphingomyelin to separate and further cooling causes cell rupture. Gamma toxin, produces red blood cell destruction. The toxin delta: injured a large number of blood cells and the injury apparently is a consequence of the reaction of hydrophobic amino acids in the phospholipids of the cell membrane. Leukocidin: This toxin is composed of two separable components that act synergistically to cause damage to polymorphonuclear cells and macrophages. Exfoliatina: This exotoxin, encoded by a plasmid, cause “severe exfoliative dermatitis” (Please see the case at the end); or also called “scalded skin syndrome of Staphylococcal origin”. It is characterized by the formation of wrinkles and exfoliation of the epidermis, resulting in significant loss of fluid through the skin bare. The epidermal sloughing is caused by an exotoxin diffusible, and thus infecting staphyloccocus may be present or absent in the affected skin area. Staphylococcal enterotoxins: This exotoxin, causes food poisoning characterized by severe diarrhea and committees. Have been described 6 antigenically distinct enterotoxins A, B, C1, C2, D and E. These toxins are not destroyed and can be termoestabiles even if the food is heated sufficiently to destroy viable staphylococci. Pyrogenic toxins: These toxins intensify the susceptibility to toxic shock (such as that occurs in women using tampons during menstruation) and cause a similar rash of scarlet fever. Penicillinase: Enzyme capable of destroying penicillin. Coli: This produces one or two different toxins, the so-called thermolabile LT and is destroyed by heating at 85 degrees C for 30 minutes, and the thermostable, designated with the letters ST and is not destroyed by heating at 100 degrees C for 30 minutes. E. Coli causes gastrointestinal infections in a severe way and sometimes fatal in infants. In adults, the infection is known by many names, for example, “Traveler’s diarrhea.” It can cause cystitis, pyelonephritis, abscesses, even sepsis. The Bacillus Genre : Bacillus Cereus (Rare and are required high concentrations of microrganisms). Bacillus Anthracis. Of course, I would like to know about cured cases regarding this matter. Kindly, I invite you to share them with me. This is a staphylococcus skin case of mine which was treated homeopathically for 5 days. A Lycopodium patient, male, 6 years old (Lycopodium the first two days was improving burning pain, itching, drying vesicles). After 5 days the patient still was developing new vesicle eruptions and the vesicles that had dried, they were wet again. 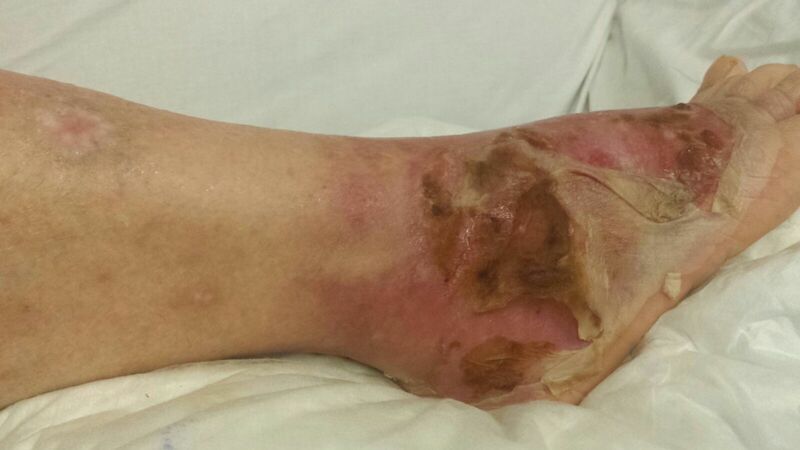 Furthermore, the patient started to get sloughing and fall of large areas of skin (exfoliation or desquamation) on more than 10% of body surface (As if he were burned). I made several changes: Belladonna (on the third day) and Arsenicum (5th day) … No results. Neither worsening nor improvement. 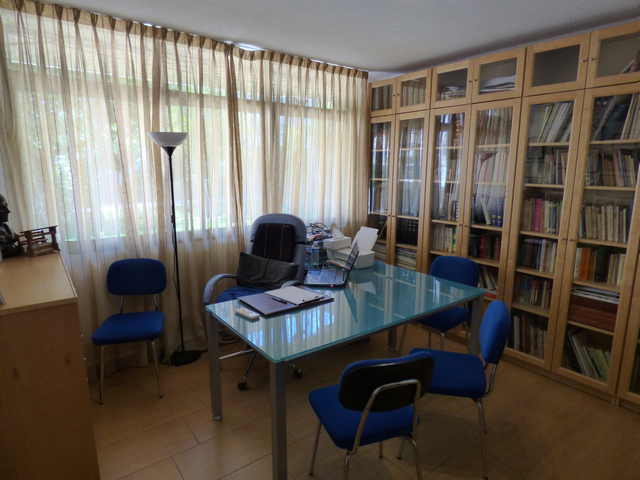 In this article, I could talk about my successful cases, however, it could be that I had failed (homeopathy never fails), or it could be that there is the need to establish new criteria in order to increase the patient´s safety. I must say that after 5 days, I took the patient to the hospital, and I administered antibiotics against Staphylococcus aureus. Locally, I washed his skin lesions (Three times a day) with soap and water and later I used Cantharis MT (5 drops into a glass water). The patient improved almost 100% in two days, therefore he was taken out of hospital. Doctors were surprised for the quick response and nobody believed that during six years the child had never taken antibiotics, but only homeopathy. it was pointed out one of the commonest mistakes made in case analysis, is the incompleteness of taking the symptoms. In our clinic recently, a similar set of circumstances arose in a particular case, and we agreed on a remedy that presented in every way to a similimum. However….. Even though the remedy chosen fitted well, Manuel said to me, ” you have that unconvinced look again” and so we reviewed the case over, asking more questions. We found a modality that we had missed and one which WAS the key to the case. He begins a fresh line with every new circumstance mentioned by the patient or his friends, so that the symptoms shall be all ranged separately one below the other. He can thus add to any one, that may at first have been related in too vague a manner, but subsequently more explicitly explained. When the narrators have finished what they would say of their own accord, the physician then reverts to each particular symptom and elicits more precise information respecting it in the following manner; he reads over the symptoms as they were related to him one by one, and about each of them he inquires for further particulars, e.g., at what period did this symptom occur? Was it previous to taking the medicine he had hitherto been using? While taking the medicine? Or only some days after leaving off the medicine? What kind of pain, what sensation exactly, was it that occurred on this spot? Where was the precise spot? Did the pain occur in fits and by itself, at various times? Or was it continued, without intermission? How long did it last? At what time of the day or night, and in what position of the body was it worst, or ceased entirely? What was the exact nature of this or that event or circumstance mentioned – described in plain words? In our case, which is still ongoing, had we not followed the instructions Hahnemann gave for taking precise symptoms and modalities, we would have GIVEN THE WRONG REMEDY and failed to elicit a cure. We did not examine each symptom and COMPLETE the location, the sensations and the modalities. In my clinical experience, it is the modifying factors of a symptom that give the leading clues to the correct remedy. I make it a practice to NOT IGNORE ANY SYMPTOM IN ITS ENTIRETY as it may prove the key to remedy selection. You may find that a single modality present in each symptom MIGHT becomes a general symptom of the case. Without having each symptom itemised into its components, There is no accurate case to prescribe for. You may find that a modality is singular to a particular symptom, and on that basis alone is key to the case. I often hear inexperienced prescribers say that they dont like to use rubrics that narrow down the list of remedies too early in case “they miss something”. I personally look for symptoms that CANNOT be ignored and have but few remedies in them. We will look at this logically. A known infecting agent will produce a known set of pathological symptoms. By virtue of this knowledge, a name can be given to the disease state, and expressions of that disease will be exhibited in the patient so that, for example, measles can be diagnosed as the “Disease”. Not all symptoms will be exhibited in the patient. Our patient for example, will present E J K P V W X Y and Z. However, the collection of these symptoms is the descriptor for the named disease. So we look at the exhibited symptoms that the patient presents, and note (for example) the Fever, the skin eruptions and the feeling of Nausea. We start with examination of HOW the fever affects the patient. Is it hot? cold? is it followed or accompanied by perspiration? Is there a time modality? Is it worse for covering or uncovering? What affects it? Is it better or worse from heat? etc etc. We look at the skin symptoms and examine each and every eruption, location, modality etc. We look at the Nausea and do the same. From this we can conclude that Hahnemann fully accepted that the illness was due to infection, but that the reaction to it IS INDIVIDUAL TO THE ORGANISM INFECTED. On this basis, we must keep in mind what is common to the infection and NAMED disease symptoms, and YET peculiar to the individual…….in their individual expression, from which we can elicit the prescribing symptoms for a remedy match. Address delivered before the Meeting of the Homeopathic Physicians of Rhineland and Westphalia, at Dortmund, July 28, 1859. The choice of the remedy in any concrete case of disease can not be made too carefully or too cautiously. No less in the healing art than in morals, the motto holds good: “Bonum ex omni parte, malum ex quorumque defectu.” Many failures occur, especially with unpracticed beginners, because in examining the symptoms the one or the other was overlooked. Even with the older and more experienced homeopathic physicians, especially such as are very busy, such an occurrence occasionally takes place. This cannot, however, prove either the insufficiency of Homeopathy in general nor the inadequacy of the small and rare doses, and the experienced practitioner, who always looks with suspicion on such excuses, will in such cases first of all subject the image of the disease which he has formed to a new revision, and look for the lack of his success in his medication first in this direction. It is not, indeed, my intention to offer anything new here to the practiced and experienced physicians. But it does seem to me as if an incidental warning to such as are about to enter on this field might not be altogether superfluous, and I consider it on that account allowable to introduce a case that happened lately, and which will put what I desire to say into its proper light. I do not intend to speak here of curing merely by the name of the disease, the so called “Medicina nominalis”, which is altogether a different matter, and which is still doing untold mischief, for such a treatment is very acme of irrational and unconscionable routine, and warning against such a practice would justly be considered an insult even by the youngest of our colleagues. After careful consideration and a protracted comparison of all the symptoms present with our matera medica, every homeopath will agree with me that Phosphorus seemed most indicated of all the remedies, and this so decidedly that none of the other remedies could at all compare with it. I, therefore, felt no hesitation at all to give to my patient my usual dose (a high potency 200c) of this very efficient remedy, and to direct its administration in the usual manner (dissolved in water), recommending to him the usual diet, and directing him to report to me in person in two weeks. But I was cruelly and painfully disappointed when the patient after this period appeared before me, for he was not improved in any respect; on the contrary, his sickly appearance and the threatening redness of the cheeks had increased and the feverish symptoms had been suspiciously augmented. In the meantime the remedy had been used exactly according to my directions, and nothing had been overlooked either in diet or in his mode of life. What then had been the reason for my total failure? Under such circumstances the only reason could be the defective or incorrect examination of the symptoms, so I went over them again carefully, one by one. The mistake then appeared in the feverish symptoms, which were only superficially indicated, and which in the patient had an unusual and, therefore, unrecognized form, which was at the same time very characteristic. For while sleeping he was suffering continually from a dry, burning heat, which on his waking up immediately passed into a very profuse perspiration, which continued without interruption while he was awake, until he fell asleep again, when at once the dry heat reappeared. Thus the conundrum was solved. This symptom is found only in Sambucus, while in Phosphorus just the opposite is found. Since all the other symptoms coincided my patient received at once a dose of the high potency I usually employ, and the result was then so complete that in two weeks he was freed from all his ailments and felt as well as ever before. Medicine is a difficult thing to define. So many branches within the conceptual understanding of the name. Many practitioners of homoeopathy erroneously think that homeopathy IS “medicine”, and the reality is that homoeopathy is a branch of medicine. The therapy has a well defined role to play in its application of therapeutics, but can only be effective within the boundaries of what it can cure. Let me be very clear about my positional stance. I firmly accept that the law of CURE is answered in the Like cures like definition. The therapeutic approach of similars as defined by Hahnemann is the medical application of that law utilising substances that can produce symptoms that can be matched to symptoms that appear within disease states. Substances do NOT produce the disease itself. Substances produce SYMPTOMS. Substances have no personality or TYPE or affinity to human traits, they merely produce SYMPTOMS. There is no SULPHUR personality… only symptoms in disease that produce symptoms that require sulphur for a curative effect. Homoepathy cannot be used in place of surgery. Sometimes the necessity for surgery can be removed by treatment with homoeopathy, but in general, where mechanical intervention is required, then a procedure will take place. Homoeopathy is useful in helping the post operative recuperation by aiding the immune system to work with focus. Homoeopathy cannot replace the need for substances like insulin, but can reduce the volume required. I have seen this many times. A small dose of every one of them certainly produces a primary action that is perceptible to a sufficiently attentive; but the living organism employs against it only so much reaction (secondary action) as is necessary for the restoration of the normal condition.§ 67 Fifth EditionThese incontrovertible truths, which spontaneously offer themselves to our notice and experience, explain to us the beneficial action that takes place under homoeopathic treatment; while, on the other hand, they demonstrate the perversity of the antipathic and palliative treatment of diseases with antagonistically acting medicines. Only in the most urgent cases, where danger to life and imminent death allow no time for the action of a homoeopathic remedy – not hours, sometimes not even quarter-hours, and scarcely minutes – in sudden accidents occurring to previously healthy individuals – for example, in asphyxia and suspended animation from lightning, from suffocation, freezing, drowning, etc. – is it admissible and judicious, at all events as a preliminary measure to stimulate the irritability and sensibility (the physical life) with a palliative, as for instance, with gentle electrical shocks, with clysters of strong coffee, with a stimulating odor, gradual application of heat, etc. With the advent of modern drugs that will stimulate and revive functionality, I have no problem in adding these to the list of times when emergency treatments are required. As physicians/consultants/health advisors, we the practitioners have but one responsibility to the patient, that is their welfare. My experience and observation is that applying the law of similars is the best we can offer, yet times will arise when the organism will not respond to the application of the proven remedies to immune deficiencies or damage by drugs or other influences. We must not be so single minded to ignore facts in our search for cure. Homoeopaths require expressed and observed symptoms to prescribe. Without a single or multiple symptom or disease expression, we have nothing to base a prescription on. We need individual reaction to an infection. I am singularly frustrated at times when a patient comes to me in apparent good health without a solitary expression of disorder, and yet examination shows a tumour or life threatening change internally that is not reflected externally as a change in health. These type of disorders require a deep examination of the Materia Medica which may or may not yield a remedy to prescribe. I have been called to situations where a prescriber has failed to aid elderly patients with confusion and weakness with well indicated remedies, and yet failed to to see that all that was required was a multi vitamin shot or to rehydrate the patient…. common problems associated with the aged. I have seen prescribers show a complete confidence in prescribing low potencies for pathology and high potencies for other reasons, and yet on observation of the patient, I have observed major aggravations and effects of the remedies in the patient, some for long periods of time. I see daily repetition of medicines made (Even with LMs) with the practitioner ignoring aggravations and ameliorations in contradiction to Hahnemanns directions. This is especially concerning because too much medicine can cause a sensitivity in a patient and complicate matters. Turn back to Hahnemann and learn the brilliance of his observations and advice on case taking, observations, applications of medicine and how to manage the case. It is the real homoeopathy. The only homoeopathy that works consistently. 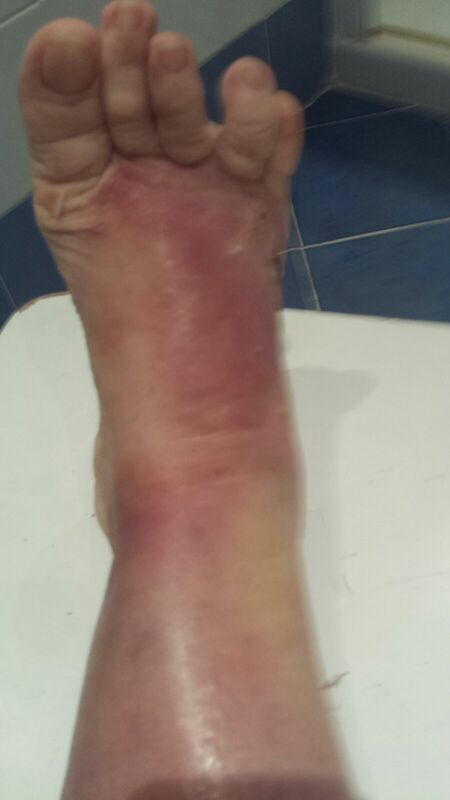 A lady patient talked to me on the phone from the USA and presented the following disease condition for prescribing. At first, it was easy to hear her, but as the call went to the 15 minute mark, her voice became harder to hear and was becoming quieter and quieter. She told me that for the past 6 months, she had suffered from a sore throat and extreme weariness and tiredness of the body. She said her knees felt heavy and weak, her hips also, in fact all her lower limbs were weak and tired. Her profession is a trainer for phone consultants for a technology company, and she had been off work for a couple of weeks due to voice issues. She said she would cough , some phlegm would come up and the tone of her voice would change, usually to a higher pitch, much weaker and empty sounding… sometimes she would be unable to talk at all. Further enquiry produced the following symptoms. The coughing would induce the phlegm (green) to expectorate. She said the taste was like a spoon of sugar and not pleasant. 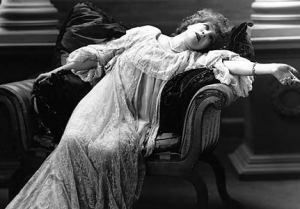 Along with the cough , there would be a feeling of lassitude and weariness in her arms spreading across the upper chest with difficulty in breathing. She felt better not moving at all and deep breathing helped her to breathe more easily. She stated that she needed to urinate more frequently at night, but did not really feel an urge, just the fullness of the bladder informed her of the need. There were a number of ways to approach this case. We here at the IHM primarily use the SYNOPSIS P&W THERAPEUTIC POCKET BOOK as our guide to analysis. For those that know this particular remedy, it would not be necessary to repertorize as the SX are clear, however we present analysis from the TPB to show how it is done. We do not advocate using more than 4-6 rubrics to cover a case, as the TPB works best on accurate sx and will lead to a choice of few remedies quickly. I have a practice over the years of reading EVERY medicine that am to prescribe until I form an accurate picture of the proven SX in mind… if I have any doubt, I always read again. Hahnemann, Kent and the IHM. One of the questions we get asked a lot by practitioners, is why concentrate solely on the teachings of Hahnemann, the provers Union and Boenninghausen. We have found over the years that it is always better to go to original sources for accuracy. Homoeopathic historians have started to address the issues caused by influential homoeopaths from the 19th century on and recognise the confusion that is caused in practice. We sidestep all these issues simply by using the Organon, Chronic Diseases, the other writings of Hahnemann, Boenninghausen and approved sources. If your practice is not as successful and you would like, we would encourage you to revisit some of the methodology you employ in casetaking and repertorisation and pharmaceutical practice, or alternatively take a small seminar with us to educate yourself on the original practice methods. By S. Hehr, M.B.B.S., D.P.M. KENT: “Hahnemann could perceive this immaterial vital principle. 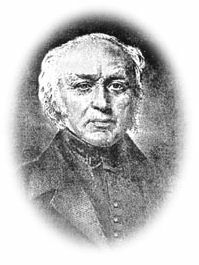 It was something he arrived at himself, from his own process of thinking (but all historians mention that it was Joseph Barthez, b.1734, d.1806, who introduced the term “vital principle”18). (Allusion to “vital force” appeared in the Chronic Diseases20 published in 1828, and in the fourth edition of the Organon that we shall refer shortly, Kent substitutes “simple substance for “immaterial vital principle” in the paragraphs subsequent to the one sited above – vide reference 19. This new expression appears to be Kent’s own coinage. Imputation of “much thought” to Hahnemann appears to be Kent’s projection of his own thinking, the result of which was the new expression. Hahnemann’s views on reasoning and speculation are clear in reference 8). KENT: “Hahnemann did not adopt any such theory as bacteriology”. Hahnemann’s distinction between the responses of the animate and the inanimate; his view about adaptive responses of the organisms”, 28 his stress on the value of signals in biology;29 his almost foreshadowing of “the law of initial value” of Joseph Wilder,30his near modern views on nutrition31 and his suggestions for psychological exercise32are all missing from Kent’s writings. One feels constrained to ponder how far the words of Inglis (on relation of Galen to Hippocrates) would apply also to the relation of Kentto Hahnemann. Kent was a Swedenborgian, and he can be accused of including the fundamental concept of mystical correspondence between spirit world and humans to Homoeopathy. Which distract the Homoeopathic philosophy from Hahnemann’s “Rationality” to Kent’s “Metaphysical”. This shift from basic nature of reality of human system compel the Kent to start unrealistic and unbalanced emphasis on “Mind” or “Mental Symptoms” or “Mental Origin” of every disease. Hahnemann is realistic and balanced in his approach in an individual case of sick, he searched for the totality where it actually lies but Kent arranges the “Mind” always on the beginning of a case. Kent pushed the basic methodology of Homoeopathy towards “Irrationalism”. On Miasm, Hahnemann is certain about three different basic causes of diseases, Psora, Sycosis and Syphilis but for Kent, Psora is only basic cause of all the diseases, including two other miasms too. Hahnemann always talks about the “gentle restoration” of the sick with only mild aggravations, but Kent admitted his was to cure with severe and long homoeopathic aggravations. Kent underlined the return of all the past symptoms, eliminations and exteriorization (developing skin lesions etc.) in a case is a good indication and path towards cure, whereas Hahnemann marked them as organism’s defense or reaction against wrong prescriptions and excess of doses. Dr Kent may have been a good, efficient and ardent homoeopath but his concepts and theories vary from Dr Hahnemann on most of the basic understandings of Homoeopathy which makes for differences in approach, methodology for treatment of a patient. 7. So accepting Kent as a true disciple of Hahneman, as Kent himself claims, undermines the value of Hahnemannian theory and concepts of Homoeopathy. We need to read and practice Homoeopathy as a Hahnemannian methods and Kentian Methods, with their respective theories, concepts and differences from each other. 2 Kent J.T. – Lectures on Homoeopathic Philosophy. P.19,Chicago : Ehrhart & Karl, 1954. 5 Hahnemann S. – Organon der Heilkunst, P.7, Dresden: Arnold, 1819. 6 Ibid – P.15 -16. 10 Dudley P. – The Chronic Diseases, P.17. 13 Ibid – P.36 f.n. 14 Kent J.T. – Lectures.P146. 15 Dudley P. – The Chronic Diseases, P.8. 18 Castiglioni A. – A History of Medicine, P.586, New York: Alfred Knoff, 1958. 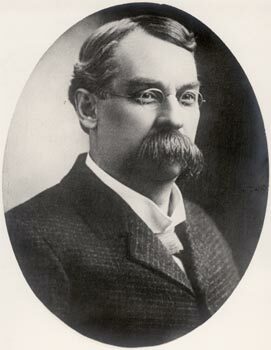 19 Kent J.T. – Lectures.P.76-77. 20 Haehl R. – Samuel Hahnemann: His Life and Work. P.136, New Delhi, B.Jain Reprint. 21 Kent J.T. – Lectures.P.79. 22 Hahnemann S. – Organon der Heilkunst, P.IV, Dresden and Leipzig, Arnold, 1829. 24 Hehr G.S. – Bacteriology and Homoeopathy.Br.Hom.J. 1982, 71,62,64-5. 25 Jouanny J. – Essentials of Homoeopathic Therapeutics, P.39, Laboratories Boiron, 1980. 26 Campbell A.C.H. – Editorial, Br. Hom. J., 1980, 69, 3. 27 Hahnemann S. – Organon der rationallen Heilkunde, P.5-8, Anm. Dresden, Arnold, 1810. 28 Dudgeon R.E. – Lesser Writings of Samuel Hahnemann. P.62, Para 289-290. 29 Hahnemann S. – Fingerzeige auf den homoopathischen Gabrauch der Arzneien in der bisherigen praxis. Neues Journal der practischen Arzneikunde von Hufeland 1807, 43. 30 Dudgeon R.E. – Lesser Writings of Samuel Hahnemann. P.34. 31 Hehr G.S. – Hahnemann and Nutrition. Br. Hom. J. 1981,70,208-12. 32 Hehr G.S. – Self awareness and Homoeopathy, Br. Hom. J. 1983, 72, 90-5. 33 Inglis B. – Natural Medicine, 0.18. London, Collins, 1979. The compiler expresses his gratitude to “Institut fur Geschichte der Medzin der Bosch Stifung”, Stuttgart, for their generosity in supplying Xerox copies of many paper and microfilms of all editions of Organon, without which the paper could not have been completed.